This expanded edition of ‘Latin for Lovers’ is a celebration of the finest romantic song material to come out of Latin America. This expanded edition of ‘Latin for Lovers’ is a celebration of the finest romantic song material to come out of Latin America. This includes songs by the pioneer of bossa-nova – Antonio Carlos Jobim – whose music had proven extremely popular at the time for non-Latin artists like Peggy Lee, Ella Fitzgerald and Frank Sinatra. 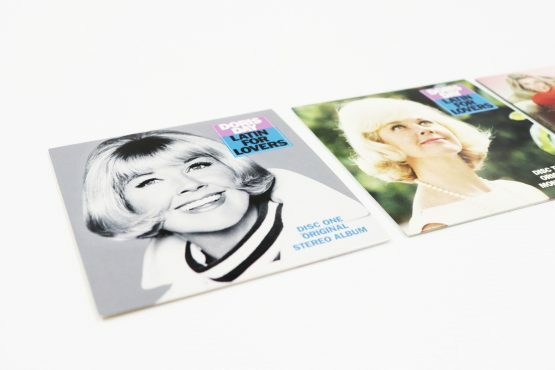 The complete 12 track album is included in both of its original Stereo and Mono releases from 1965 and there is a 3rd bonus disc including both other Latin influenced tracks from Doris Day’s recording career plus a compendium of A & B sides from her singles that were recorded and released between the ‘Latin for Lovers’ album and the end of her recording career with Columbia in 1967. 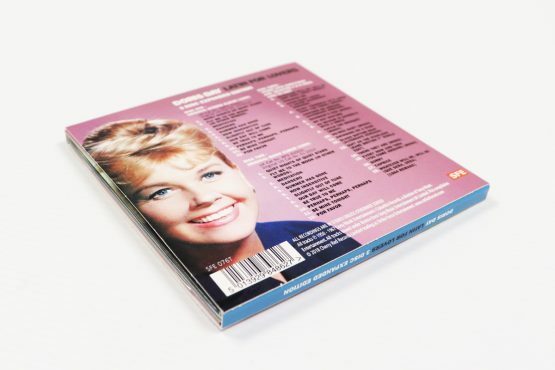 The hauntingly beautiful Brazilian bossa-nova rhythm brought a flood of warmly melodic songs in its wake and it also provided Doris Day with a wonderful opportunity to extend the affinity she showed for Latin music in one of the greatest hits of her earlier career: ‘Que Sera, Sera’. 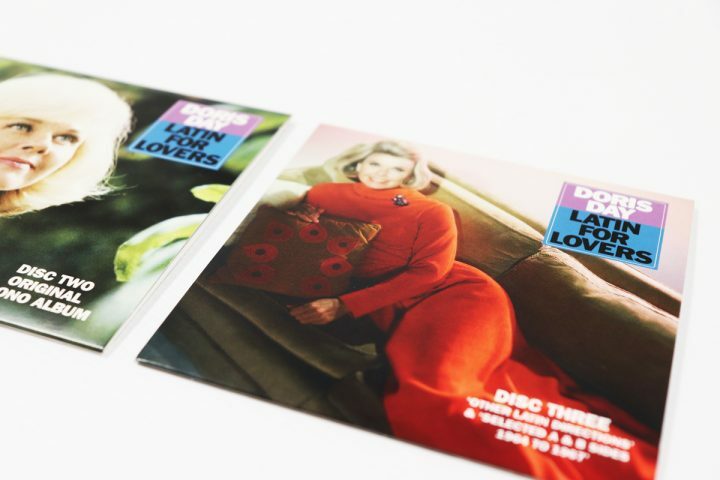 Throughout ‘Latin For Lovers’, Doris delivers a supremely evocative and intimate vocal performance, her voice cushioned on a sensuous blend of violins and guitars, with the darkly inviting tones of an alto flute in wonderful arrangements by Mort Gamson. Four tunes were composed by the still now presiding genius of bossa-nova, Antonio Carlos Jobim; ’Quiet Nights Of Quiet Stars’, ‘Meditation’, ‘How Insensitive’ and ‘Slightly Out Of Tune’, classic songs of beauty and substance on which Doris Day lavishes her trademark fresh charm and warmth. But, there is more to this album than the bossa-nova for Doris has gathered a gala array of songs that fit into the meaningful, melodic groove that the Brazilian bossa-nova has established. For example, the soaring ‘Fly Me To The Moon’, originally written in 1954 as ‘In Other Words’, actually fits into the later bossa- nova genre as though it had intended to do so from the start. 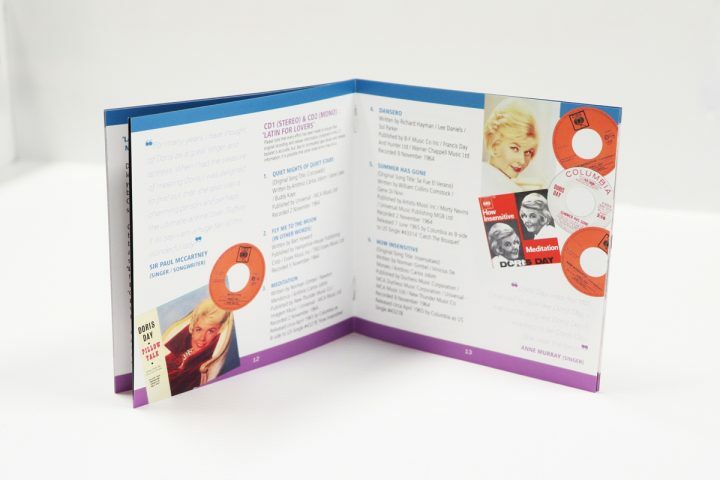 Other delightful surprises include the foot-tapping ‘Dansero’, written by harmonica virtuoso and conductor, Richard Hayman, from when the incumbent Latin rhythm was the cha-cha, a beat that also informs the song ‘Por Favor’. The tango, is the backbeat for Doris’s urgent rendition of ‘Perhaps, Perhaps, Perhaps’, on which a trumpet makes the rhythm shine with all the more lustrous glow! Doris’s celebrated version of this Latin classic enjoyed a new wave of popularity in the early 1990s in its inclusion by film director Baz Lurhmann in his romantic comedy hit film ‘Strictly Ballroom’. One of the earliest international hits from south of the US border is also included on ‘Latin For Lovers’; Maria Teresa Lara’s lovely ‘Noche de Ronda’ which Sunny Skylar retitled ‘Be Mine Tonight’ when he wrote the English lyrics. 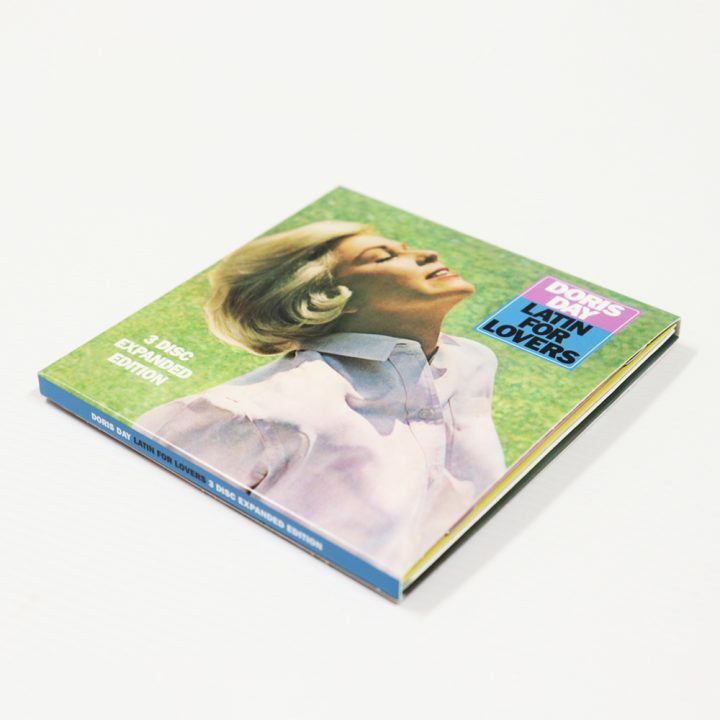 These earlier invocations of the Latin rhythmic pulse to the contemporary bossa- nova are sustained all through the album by Mort Gamson’s deft and astute arrangements that provide Doris Day with a musical unity to tie one song to another seamlessly! The musical atmosphere is so consistently authentic that Doris even briefly tries out her Spanish on ‘Be True To Me’. 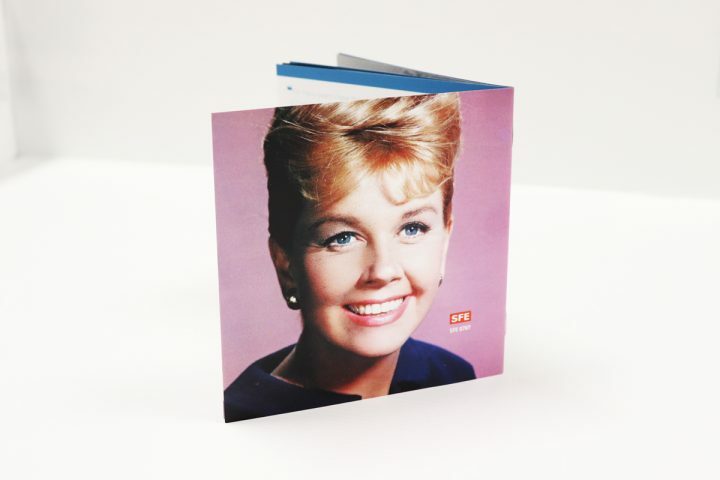 A contribution to Doris’ beloved animal welfare charity the Doris Day Animal Foundation will be made on each copy sold.